Guess what? 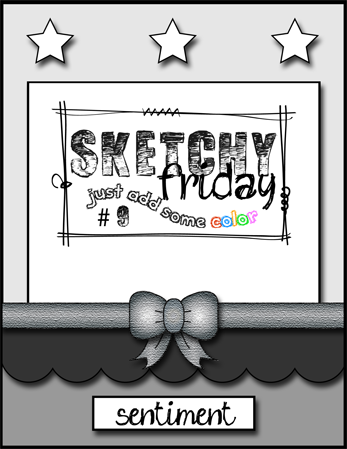 Sketchy Friday has a new look!!! Yes and I LOVE it....Make sure you stop by the blog, check it and say hello. 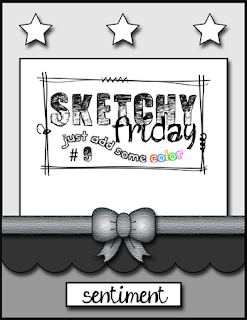 I just love this weeks sketch. I even colored my image a little more in depth than I normally would. Last time I attempted to color clouds was last year sometime. I really need to keep practicing. The sentiment is from Studio G, which I found randomly while looking for some ribbon in my boxes. The paper is a perfect match too, it's MME: Gnome Sweet Gnome. 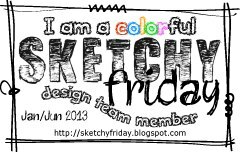 When you link your cards and projects, you have the chance to be the random winner of (1) of my digital stamps "SKdigis" or (2) if your project has one of my "SKdigis" digital stamps as the main image. So come on join us this week. This is so pretty! The colors you chose are lovely. I just love this! Home Sweet Home is one of my all time favorite SKdigi images! Your clouds are amazing and love the colors and pattern papers! Love it - So sweet, great backing papers and colours! Thank you for joining us at ATSM. 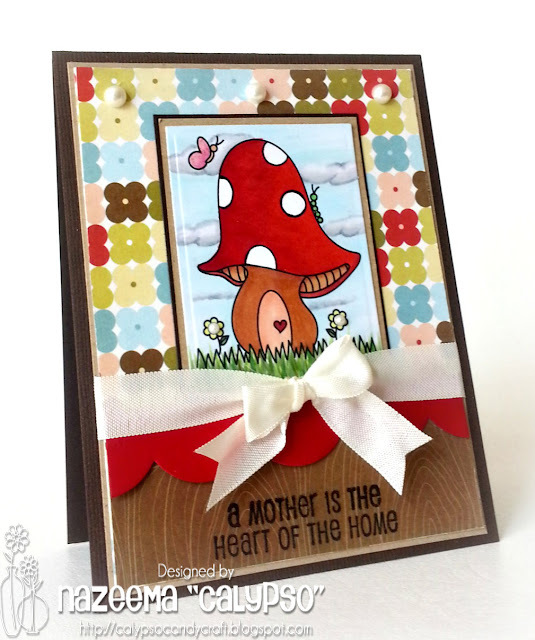 This is so cute... love the background papers you've used! How cute! Your card looks so balanced, everything works really well together, I really like it. Thanks for joining us at ATSM this week!